1. Do you wish you had a secret service that could answer your business questions? 2. Do you find yourself asking where is your money going? 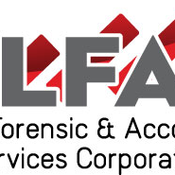 We offer accounting/bookkeeping, taxation, business evaluations and forensic accounting services year long. If you'd like your financials to be prepared or have an appraisal to be done on your business, we're here for you. Regardless of whether the size of the company is small, local business or larger business with multi-locations, we are professionals with over a decade of experience in accounting, taxation, finance, operations compliance issues, and forensic accounting. We bring a keenly trained mind, ear to eye to help our clients solve the business and financial challenge they face. We have a proven tack record helping companies increase profits and reduce expenses.